BlackBerry bluetooth headset announced | BlackBerry Blast! 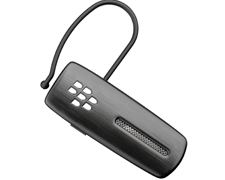 RIM will offer a new Bluetooth Headset specifically for the BlackBerry. The HS-500 os already up on RIM's shopping site but it says "coming soon." No official word yet on when this headset will ship. The HS-500 Bluetooth Headset will set you back $79.99.